How do parents and teachers support students in becoming more and more independent? 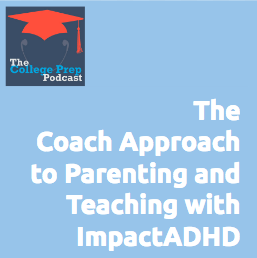 Elaine Taylor-Klaus from ImpactADHD walks us through the four phases of transition in the adult/student relationship, and shares how taking on a Coach Approach to communicating with teens can help smooth out the bumps in these transitions. 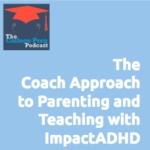 Elaine Taylor-Klaus, PCC, CPCC is a certified coach and author, the co-Founder of ImpactADHD® and co-creator of Sanity School® — a behavior management training program. A sought after speaker and presenter at national conferences, Elaine provides online training, coaching and support for parents and teachers of “complex” kids around the globe. Regularly featured in ADDitude and Attention magazines, she is the co-author of Parenting ADHD Now! Easy Intervention Strategies to Empower Kids with ADHD, and the mother of 3 young adults an ADHD Family of 5. You can find a wealth of resources on her award-winning blog at ImpactADHD.com.